Our service department caters for all vehicles from the most expensive to your beloved trustworthy 14 year old Ford. Our state of the art workshop also caters for both cars and commercials. Ford Blueservice - New and newer vehicles, read more about Ford Blueservice. Ford Motorcraft - Designed for vehicles four years and older read more about Ford Motorcraft. 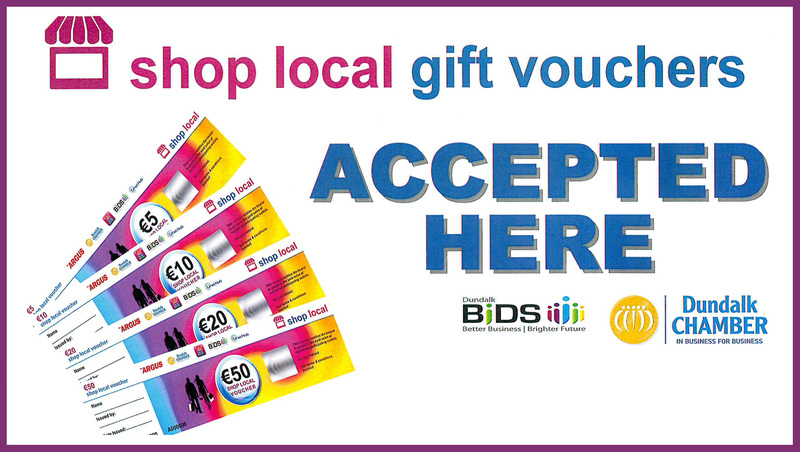 We now accept Dundalk Shop Local Vouchers in our stores and out service department. We are lucky to boast 2 master technicians, Ian mc Connon and Anthony Madden, who have both achieved the highest European Ford Technician qualification after many years of specialised Ford training. Peter McKeown is a highly qualified Ford senior technician and Oliver McEvoy has worked for Byrne and Maguire for over 30 years, following in the footsteps of his Father and Grandfather before him. That's right 3 generations of Byrne and Maguire mechanics were McEvoys! Our service reception team of Tommy, Therese and Anne will be glad to provide a very competitive quote for any work you may need to have carried out from routine service to specialised repair, and remember there are always special offers so please check our offers page or get in touch for the best value options. If you have any questions please do not hesitate to contact our service department. You can now book your service online, or give us a call on 0429331171 extension 2.